It's good news that your trip to Nigeria falls during the World Cup. Nigerians are very passionate Lovers of the game. 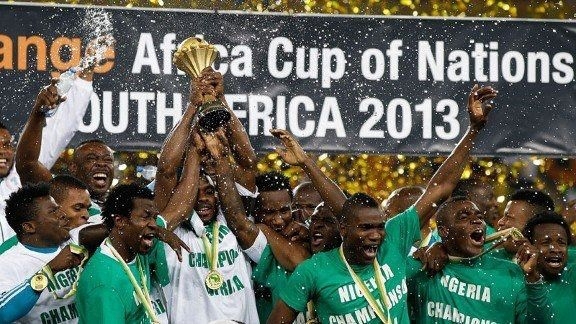 We indeed won the African Cup of Nations recently and are currently the Champions of Africa. 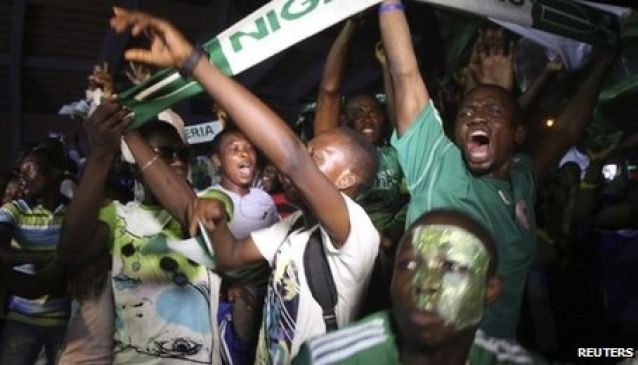 There will be a lot of eye on the Super Eagles and no doubt Nigerians have taken it upon themselves to make sure you have all the possible fun, relaxation (if you can call it that) when watching any match during this World Cup. I composed this list based on a few places I have witness a match being played. In most places, it is always the same feeling. People discussing, laying tips to the players/coaches while others are guessing (and second guessing) a coach's play or substitution. You will never find any other nation of football analysts as you will find in Nigeria. In most places however, there is usually peace & decorum. It will be heavily frowned on to not keep comments to yourself till the half time or after the match. Everyone is watching and keeping their calculations to themselves. This is usual of many private and high clientele places, (though it might happen in places where people place bets on which team will win). We strongly advise you not to partake in such bets! Here are some of the Top Places to watch a match this World Cup period in no order. Freedom Park, Lagos: Located on Broad Street, CMS, Lagos Island, a central business hub in Nigeria. It is the best option to catch a match immediately you leave work. The area is cool, the bar is outside. There is a bar to get drinks and food courts around including a vegetarian stand. The TV is specially mounted for the football showing so you get to see the TV clearly. There is a stand by generator at Freedom Park. It comes on quickly. Find out more about Freedom Park. Troy Lounge: It is practically a sports bar. The sitting and interior is designed to accommodate a large gathering of sports fans. Troy has a TV in select locations so you are always facing a TV wherever you turn. They have small chops as well as food for you to eat. On Mondays, you get one shot free for each shot you buy (and possibly 10& off your dinner on Tuesday). There is a standby generator, an air condition system that keeps the room cool and you moar your boat for free. Smoking is outside. Find out more about Troy Lounge. Swe Bar: This bar located inside the City Mall, Onikan is a well known spot to watch football matches. They have amazing food, lovely cocktails/mocktails as well as beer, spirits and soft drinks. You can sit back & have a good night out after the match or choose to karaoke. Their TV sets are connected to a UPS so you don't miss a lot of the match action before they restore power. Find out more about Swe Bar. Ariz Bar & Grill: The location of Ariz on the Victoria Island, walking distance from the Eko Hotel & Bar beach, makes it a coded spot to catch on to the action of the World Cup. Ariz is also offering World Cup packages on their drinks. You buy 2 beers & get 1 free, buy 2 cocktails & get 1 free, buy a bottle of wine & get 1 starter free. 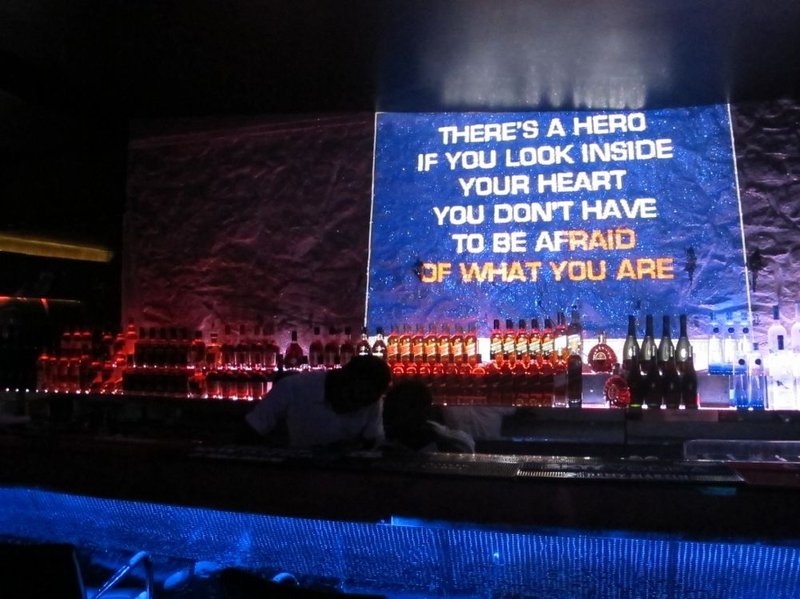 Find out more about Ariz Bar & Grill. Where is your favorite place to watch a world cup match. Let me know on the @mydnigeria twitter page. You can send in a picture to get featured on our pages. Wishing the Super Eagles a successful outing in Brazil. We are the current African Champions!!! Read about the Super Eagles in Brazil or Find other places you can watch a match.